Prime Minister Narendra Modi has launched BHIM – Aadhaar, a new merchant app for accepting payments from customers using their Aadhar identity. Along with this, the PM has also launched two schemes named as “BHIM Referral Bonus Scheme” and “BHIM Cashback” schemes for consumers and merchants respectively. 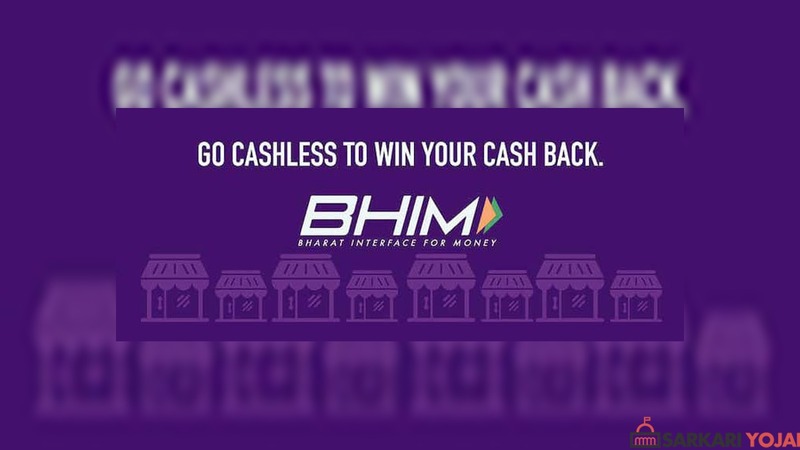 The BHIM referral bonus and cashback schemes have been launched by the Narendra Modi in order to push the use of BHIM App and hence the digital payments. The schemes have been launched from Nagpur for all the BHIM app users. The government has set an budget outlay of Rs. 495 Crore for 6 months for the implementation of the schemes. 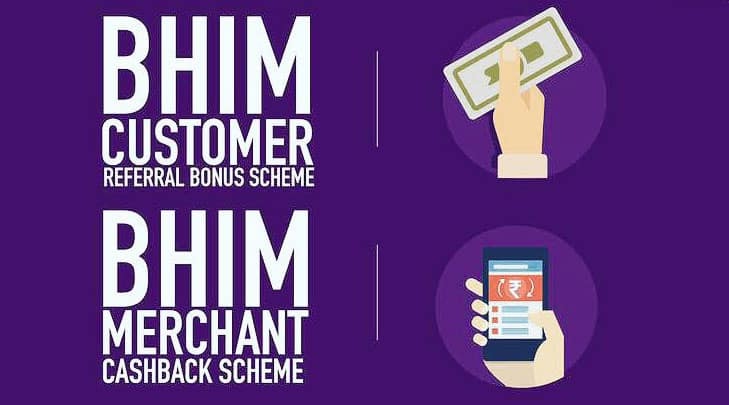 Under the BHIM referral bonus scheme, the government would provide cash bonus to both existing and new BHIM app users for referring BHIM app to new users. The cash bonus will directly be credited into their accounts. For every successful referral, Rs. 10 will be credited into the bank account of the beneficiary referrer. If you help at least 3 people install and understand BHIM app then you will get Rs 10 from govt. The new users who adopts BHIM would also get a cash bonus credited directly in to their account. Under the BHIM cashback scheme for merchants, the merchants will get a cashback on every transaction using BHIM (Bharat Interface for Money). Those who install BHIM app for business transaction will get Rs 25 in their bank accounts. Through the BHIM referral bonus and cashback scheme, the government aims to give boost to the use of BHIM app leading to the increased use of digital mode of payments. The scheme will overall help in providing greater push to making India a cashless (rather less-cash) economy. Both schemes are to be administered by MEITY and implemented by NPCI. New schemes will run until 14 October as that was day Ambedkar saheb took diksha. Narendra Modi also announced the winners of Mega Draw of Lucky Grahak Yojana and Digi Dhan Vyapar Yojana during the event organized in Nagpur. Sir pm please help me arjent job .Me my request sir…..
Dear.sir. we not believe bhim App. Because i transaction name address my wife. But I don’t know this is not safe. So its go wrong account. But my problem not solve. 4march ki complant .answer aa raha h ki wrong credited icici bank account. So i not believe bhim App. Dear pm ji my mobile num.9466254238.pls solve my problem.